Don’t know how to eat right on a budget? 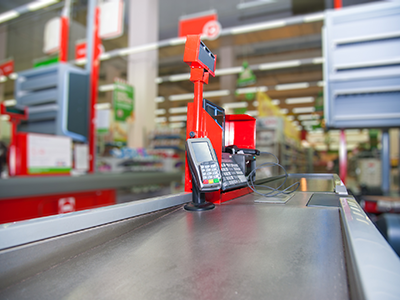 We are all familiar with supermarket sticker shock: a few basic food items like eggs, milk, bread, lettuce, and cheese leaves your wallet distinctly lighter. Food costs will keep escalating, so it’s important to shop wisely. From The Total Fitness Manual. USE APPS Check out the many smartphone and tablet apps—some are even free—that let you plan menus, watch your calorie intake, and find alternative food options. CLIP COUPONS Sign up online for one of several services that offer you customized coupons for the healthy foods you prefer—low-calorie frozen meals, gluten-free products, or organic foods, for instance. GO ORGANIC Many organic farmers or ranchers don’t bother with the expense and red tape required to earn “certified organic” labels. So simply make sure the product packaging says organically grown, and you will pay about 50 percent less than for certified foods. MAKE SOUP There are many ways to augment low-sodium soup and turn it into a nutritious meal: add seasoning, spices, vegetables, meat, pasta, or even scrambled eggs. Studies show that dieters are less likely to overindulge when starting a meal with low-fat soup. BUY FROZEN VEGGIES Slash the high price of fresh vegetables (and fruits) by opting to buy frozen in bulk. Flash-frozen produce works well in soups, casseroles, quiches, pasta, and health shakes. AVOID WASTE Think before you discard any leftovers. Bones or meat scraps can be used in making soup stock. Vegetables can be added to an omelet or processed with your morning smoothie. Consider buying storage bags or disks that slow spoilage. Eating healthy isn’t just possible on a budget, it’ll help your budget. Discover why eating healthy is cheaper. Looking to get in shape? The fitness experts at the world-renowned Gold’s Gym have compiled all the essential information to bring you the Total Fitness Manual. This definitive guide to fitness, strength training and nutrition will help you find the new you in no time. 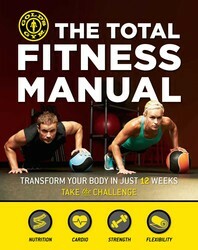 The Total Fitness Manual combines every bit on info you need to get in shape- and stay in shape for life. Gold’s Gym has been the authority on fitness since 1965. It was then that fitness legend Joe Gold took the knowledge and expertise he gained from training at the world famous “Muscle Beach” and opened up the first Gold’s Gym on Pacific Avenue in Venice, California. At Gold’s Gym, our goal is simple: We’re here to help you Know Your Own Strength®.